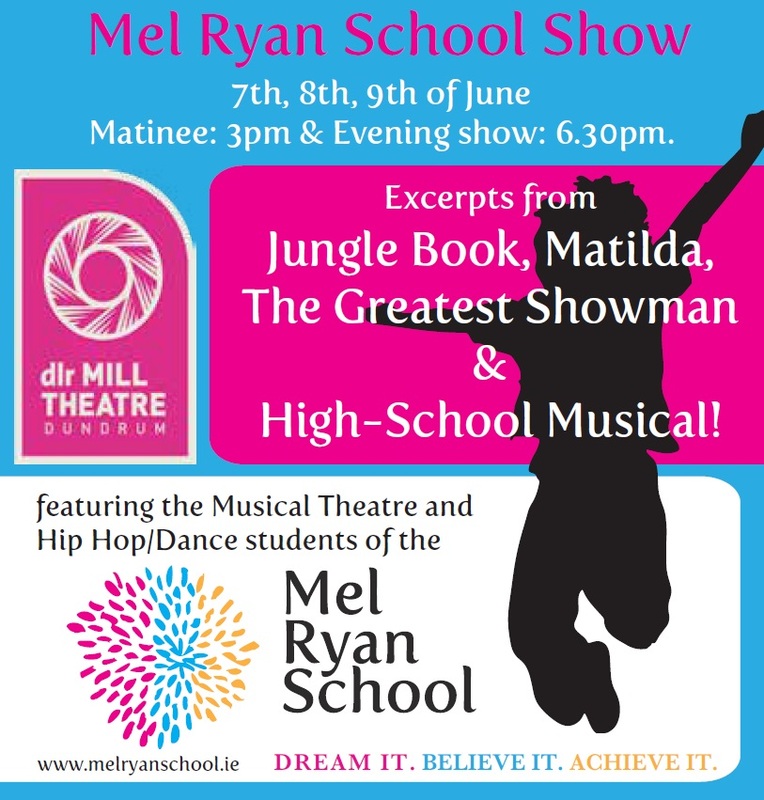 Mel Ryan School Show featuring the Musical Theatre and Hip Hop students of The Mel Ryan School. Enjoy excerpts from, The Jungle Book, Matilda, The Greatest Showman and High-School Musical , along with lots of Hip Hop dance routines! While training of the highest standard is provided in singing, acting and dancing the school prides itself on its focus on the well-being and encouragement of each child’s development in a supportive and fun-filled environment. Students do an hour of Musical Theatre (music/drama) and an hour of Hip Hop/Musical theatre dance each week. Students also get plenty of opportunity to take part in professional productions. We also offer an alternative style of fun-filled, no pressure class in small groups. The main objective of this style of class is to build confidence and develop life skills using the vehicle of music, drama and presentation skills. These small classes are wonderfully successful in building confidence and preparing young people for the inevitable challenges of life. PLEASE NOTE: All babies and toddlers under 2 years old require a seat.